This movie is aptly named…okay, maybe it isn’t that bad but it’s a lot less fun than advertised. I was expecting a lot more from Amy Schumer because of how funny she is in interviews. I don’t know what’s worse: a good movie with a bad trailer or a bad movie with a good trailer. Sigh, either way Trainwreck left me disappointed. Okay, basic plot: Amy (yes, Amy Schumer wrote this movie and decided to not only be the main character but to also give the main character her name. I looked up ‘creativity’ in the dictionary, surprisingly, this was not amongst the definitions) but anyway back to Amy. 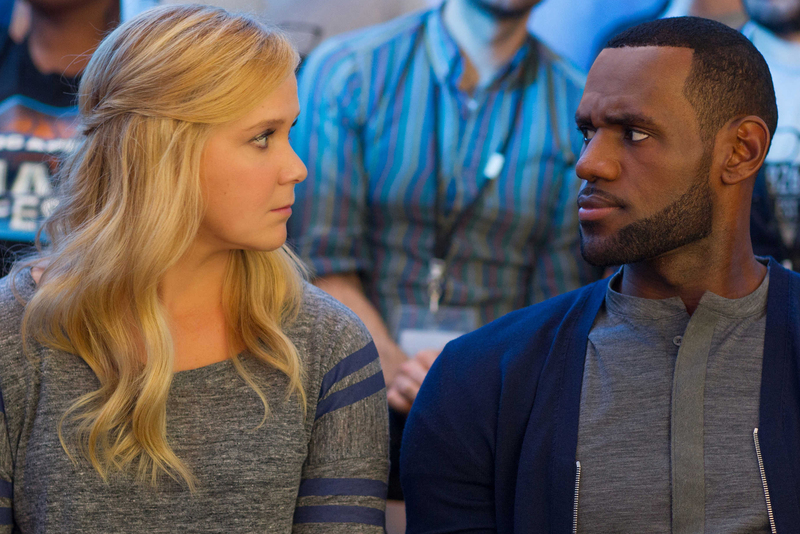 Amy (Amy Schumer) is a single, sexually free woman who is enjoying her youth and trying her utmost to avoid monogamy. This all changes when Amy meets Aaron (Bill Hader) a doctor who shows Amy that…actually you know what, you’ve watched a romcom before, you know where this is going. Blah blah blah, Amy has commitment issues. Blah blah blah Aaron makes her want to commit. Blah blah blah corny pop song plays as they kiss and live happily ever after. This movie annoyed me, worse than that, this movie bored me. It’s so long! It’s just over two hours but there was really nothing in the story that justified this extravagant runtime. This movie should have been twenty to thirty minutes shorter. There were so many drawn-out, pointless scenes. The first twenty minutes were just unbearable – you’re waiting for this movie to start and I don’t think it ever truly gets out the starting blocks. Trainwreck never decides what kind of style it wants to commit to. It flops around from being a romcom to a drama to an arthouse love story to something approaching a standup comedy show. It’s unfocused and lacking a focal point. This movie is also not what the trailer promised. I walked in expecting a smart, slick, fun look into the life of a serial hook-up artist who has to overcome her commitment issues in order to find love. Instead I received a slow, boring, poorly-conceived waste of potential. There’s just too much happening and none of it is really necessary for the plot. One of the many unnecessary things in this movie is the number of celebrity cameos. If you’ve seen the trailer, you know LeBron James, as well as John Cena, show up in this movie but there are three or four others that have absolutely no place in the plot. It feels like they were shoehorned in to try to cash in on some publicity and their presence is not only unneeded but slows this already drawn-out movie even further. My biggest problem with this movie is that it isn’t all that funny. This movie reminded me a lot of Chris Rock’s vanity project – Top Five. The jokes in both movies are actually well-crafted but they would have been better suited to a standup show instead of a feature-length movie. People are saying things that are technically funny but the context in which they’re saying them, isn’t funny. There are parts in this movie where people rattle of jokes with lightning speed but instead of laughing you’re thinking, ‘why’s your character saying that? It doesn’t feel natural’. The only people who really made me laugh were the celebrity cameos. LeBron James and, in particular, John Cena really have some great moments of natural humour and although not professional actors, they steal scenes more often than not. Too bad. I liked it and found it funny.